Today: The best summer dessert is also the easiest. 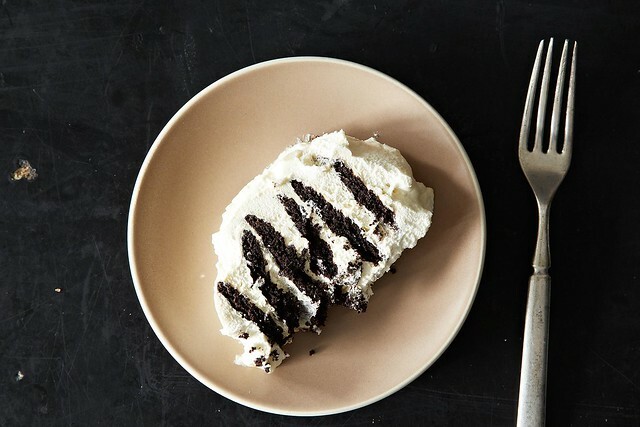 Cookies and cream: you may know it as an ice cream flavor, but the place they shine -- the place they belong -- is in an icebox cake. At its simplest, an icebox cake is simply cookies and whipped cream, layered, and left to sit and meld together so that the cookies become creamy and the cream becomes cookie-y and you're left with one, singular, so-good-you-can't-stop-talking-about-it dessert. Icebox cakes come in all shapes and sizes. I go for the classic: Nabisco chocolate wafers, layered with whipped cream, and stacked into a log. You could also build the cake in a circle, or arrange logs next to each other for a more-classic cake shape. You could flavor your whipped cream with peanut butter or coffee or caramel. You could use graham crackers orgingersnaps or thin chocolate chip cookies. 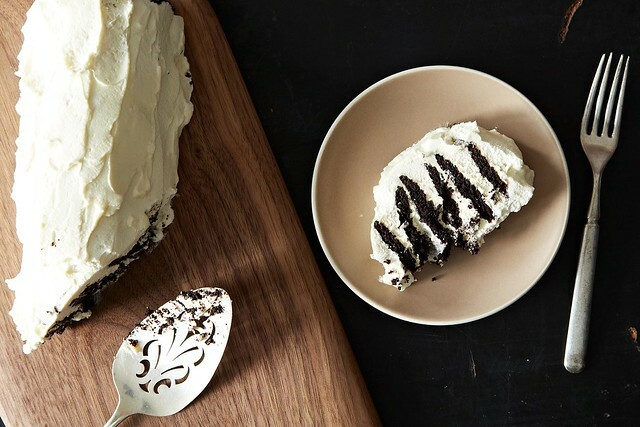 When you're making icebox cake, you're in control. This is the best make-ahead dessert -- since it needs to be made ahead -- and is a saving grace in the dog days of summer. But I make them year-round, because once you start making them, you're hooked. Here's how I make mine. 1. 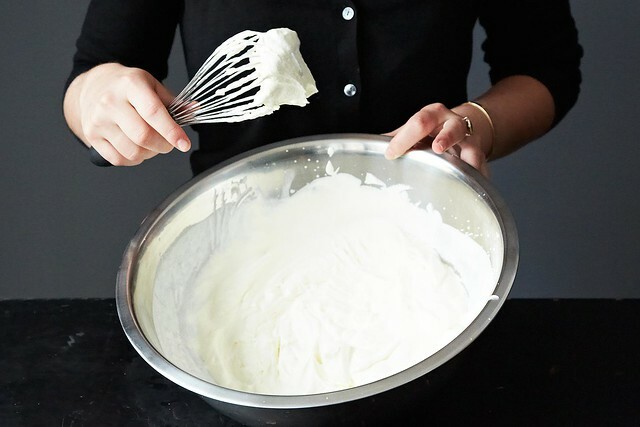 Dump a lot of heavy cream into a bowl, and whip it until it holds a medium-to-stiff peak. If you're measuring, I like to whip 3 cups of cream for each sleeve of cookies. Before whipping, you can fold in flavorings; sometimes, I add a splash of vanilla or a big pinch of confectioner's sugar, but the cream is great as is. 2. 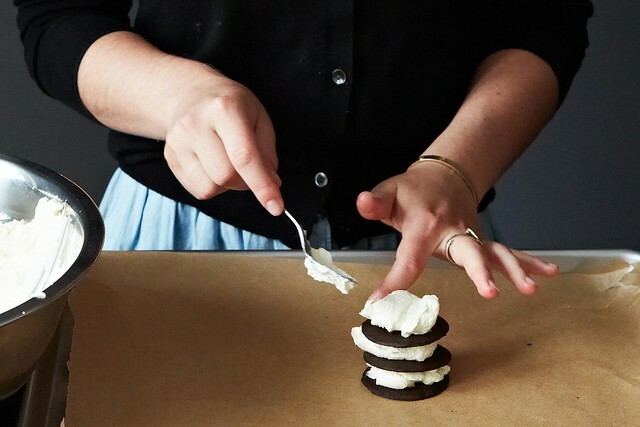 Take a cookie, spread a spoonful of whipped cream on top of it, and top it with another cookie. Repeat until you have a little tower. When the tower gets too high, lay it on its side. 3. 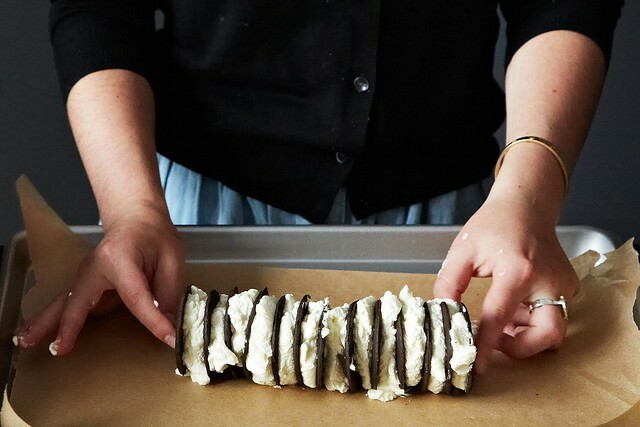 Build another tower of cookies, lay it on its side, and connect your two cookie-logs. Repeat until the sleeve of wafers is finished, reserving some of your whipped cream. You should have one, big, messy log of cookies and cream. 4. 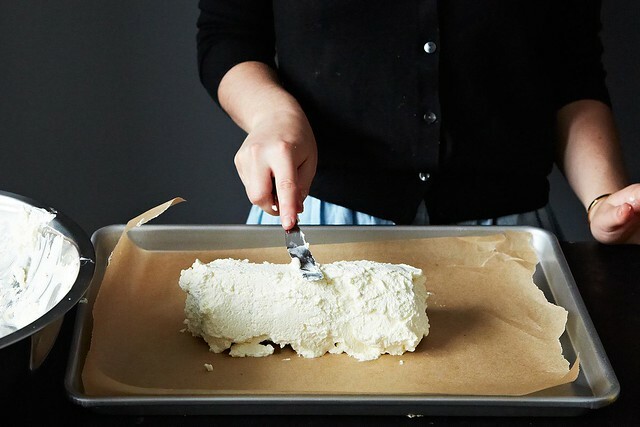 Frost the log with your remaining whipped cream. 5. Cover your cake with foil, and let it rest in the fridge overnight. Before serving, you can garnish it with chocolate shavings or sprinkles -- but I usually just slice it on the bias and dig in.